What Do I Tell People Who Ask Why I Would Give My Baby Up for Adoption? Maybe the world has always been so nosy. Maybe the world has always thought it deserves to know the innermost secret thoughts of my heart. Maybe it’s the age of the internet that people think gives them permission to grab a shovel and start digging through my brain. I’m not sure why people care—but they do! And for whatever reason, a major question I get asked is why I would give my baby up for adoption. Why, when there are so many resources for single parents, would I give my baby up? Why, when I carried my son for nine months, ruining my size zero athletic body, would I walk out of the hospital with nothing to show for it? Why, even though open adoption is a potential option, would I give my baby to complete strangers? My heart was torn into a million pieces the day I found out I was pregnant. Every cliché became my life, and I became every statistic. 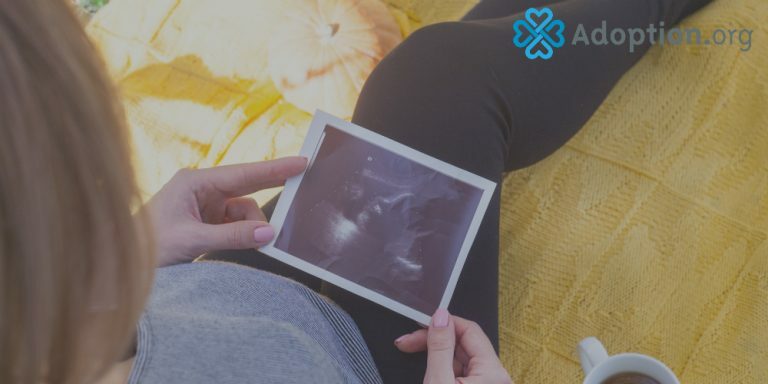 The birth father asked if I wanted an abortion, and while I realize each situation can be different and spark different outlooks on abortion, I didn’t feel like it applied to my situation. That was one of the last times I spoke to the father until the hospital. So why did I choose adoption when I live in a day and age when there are resources available to give us a good life? Why did I place my son when I had my family behind me, ready to help in whatever way they could? The answer isn’t as simple to say as it is to feel: I feel like my son deserved more. Please, allow me to say this without being offensive. I know so many single parents that are doing a wonderful job, and they’re raising children who are happy and healthy. But for my situation, my son—I felt like he deserved more. He deserved to not be raised by a day care. He deserved to live in a home, with a backyard, a dog, siblings, a father to wrestle around with, and a mother to kiss his skinned knees better. I could be the best mother in the world, but I would never be able to fill the void made by needing a father. Sigmund Freud is quoted as saying, “I cannot think of any need in childhood as strong as the need for a father’s protection.” My son deserved to be able to have parents who could afford the extra baseball lessons. He deserved to turn around at his game and see at least one parent sitting in the stands. He deserved more. I won’t lie; leaving the hospital without having that child in my arms still makes me ache. However, choosing adoption was never about my comfort. It was solely about my child’s. I was the one who chose to do the actions that led to pregnancy; it was not my child who was going to have a life of poverty (being raised by me, he would have been in poverty) because of that. I did what any mother would do: I sacrificed myself for him. To me, to my situation, my sacrifice was breaking my already broken heart to allow my son to have a chance at a better life. He still loves his mother, but I am no longer his mother. I walked out of that hospital with an empty womb and empty arms, but my heart and my head were full of love, and the world has one more person to benefit from because of me. Now, my least favorite comment from people who ask how I could give my baby up for adoption is how I could give my baby to strangers. They seem to know “all the answers” by preluding the comment with, “I know there’s open adoption, but …” But what? Believe it or not, adoption has been working for thousands of years. And people who have struggled through home studies, paid thousands of dollars, gone through parenting classes (something people who randomly conceived don’t have to do), and spent possibly years praying and begging to have a certain child in their home will be great parents. I had the privilege of meeting my adoptive couple when I was about four months pregnant. Which meant I had four months of planning. I’ll admit I was still intimidated; they could walk away and legally have every right to never include me in anything. I comforted myself by saying that even if that happened, that child would be loved in their home. That’s what it was all about anyway—love. I needed him to be loved by as many people as possible, including myself, which would happen whether or not the adoption was open. He would be loved by his family, by me and my family, and never go a day without feeling the love from all corners of his life. Maybe the world is nosy because they are actually curious. Maybe it’s because they are waiting in the shadows to judge every decision. Either way, I’m confident that I made the best choice for my son. We are eight years into the adoption, and none of my fears have come true. He is loved by us all, the adoption is still open, and my relationship with his family is thriving. I placed my son for adoption because he needed two parents, because I love him, and because he deserved a life outside of poverty.